Sometimes we think just the face alone and we unconsciously forget as skin health. In fact, the entire skin of our bodies also needs to be maintained. 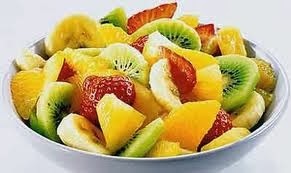 To get enough vitamin intake, we can get it through food. Another alternative is through the additional supplements. For the skin, additional supplements can be obtained orally (drink) and a cosmetic that can be applied to the skin surface. These two kinds of useful ways to help combat premature aging of the skin. Here are some useful vitamins that keep your skin health. The main function of vitamin A in skin restructuring process is to support the development and regeneration of skin cells. This vitamin deficiency can cause dry and scaly skin. 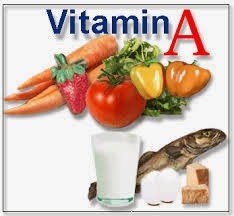 Products Vitamin A stimulates skin cell division at the top and enhance the function of cells that protect the skin. Most of the vitamin A is packaged in the form of ready-made vitamins and skin moisturizers with Ultraviolet protection for dry skin. Quintessence of this vitamin is known as Retin A, or retinol/retinoids. These materials are now often found in products for skin care benefits to shed dead skin, so according to the wrinkled skin (skin layer over the entire visible to the lower layers of skin more fresh), and also acne prone skin (open acid content of obstruction which is in the pores of the skin). Its function is to retain moisture and regenerate skin Panthenol substance that results from vitamin B is the only substance of vitamins that can be applied to the outer skin, and can be absorbed to the inner layer of skin. The benefit is to maintain balance and to keep moisture, so the effect is to balance and maintain skin moisture. Because of its soft and able to renew the skin cell tissue, as well as the effect of light in the sun, so it is not surprising that these vitamins are often packaged into products or daily skin care at night. (Day Cream and Night Cream). The main benefit is to reduce cell damage and strengthen collagen network. The cells of our body, including skin cells every day "battered" by destroying substances called free radicals, which contain many substances destroyer ultar violet rays from the sun, pollution and even stress experienced by our own bodies. To combat these free radicals substance, we need vitamin C.
Vitamin C serves as a catcher substances such radical (referred to as antloksidan) and protects the skin cells and body. In addition vitamin C also can move the skin cell activity and monitor the formation kolegen tissue (tissue that makes skin elastic) and help the healing process. This vitamin is usually packed in small capsules, or mixed with other emulsion because the nature of these vitamins are fragile and easily broken down. Serves as a radical catcher substance or antioxidant and skin protector. This vitamin deficiency makes the skin appear wrinkled. 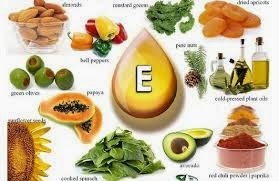 The function of vitamin E is the same as vitamin C, a substance that is as radical catchers, repairing aging and improve skin moisture. 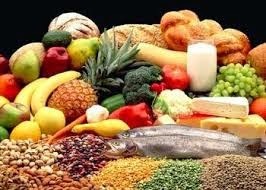 Another plus is the vitamin E is also maintaining, even increasing the level of resilience/elastitas on the skin. This means that the vitamin E skin can last for faster visible and not easily wrinkled. This vitamin also reduces infection therefore vitamin E is very good for sensitive skin, for example sensitive to sunburn. In protective products, leather/sunscreen, vitamins are used as a barrier against external effects that can cause dryness of the skin.